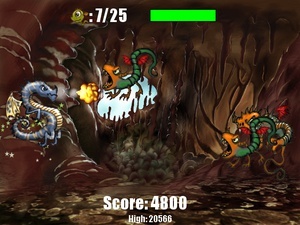 In Evil Clutches, you control a dragon parent who must collect his/her young from the evil boss. Watch out for demons which the boss will launch at you without warning. 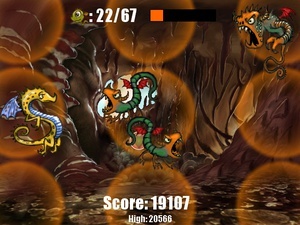 There are also power-ups to help you survive and collect your children. 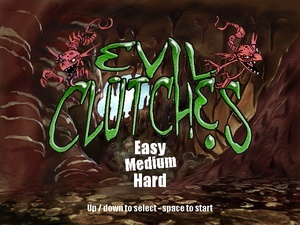 Evil Clutches is one of the nine games Revolution Games did not create. 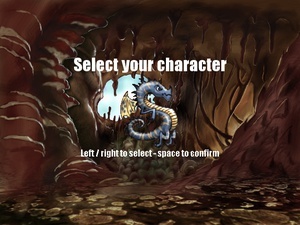 They were originally created by Mark Overmars, and Jacob Habgood for The Game Maker's Apprentice.